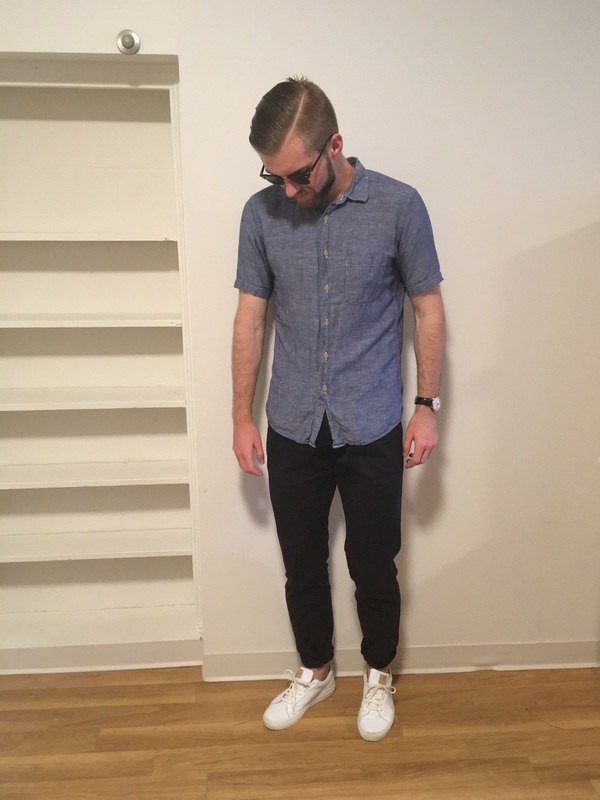 WAYWT 6/10/2016 — AS RAKESTRAW - The personal site of Alex Rakestraw. AS RAKESTRAW | The personal site of Alex Rakestraw. This week's featured outfit: short-sleeve linen paired with a monochrome base for a literally cool variation on the norm. Pair it with sunglasses and cuff your pants to complete the look. Because nothing says "this guy does summer things" more than exposed ankles. This week's outfit comes courtesy of getting ice cream with a girl I was trying to impress. "Ice cream?" you say. "Did her parents have to drop you guys off?" First off: good one. Secondly: yes, ice cream. Being 20 in all 50 states dramatically shrinks the pool of NYC first date possibilities, so those of us under the legal age have to really stretch for something fun/memorable considering cocktails are out for at least another 8 months. With my #fire outfit in tow, we got churro ice cream cones at ChikaLicious Dessert Bar and watched the sunset. That's way more Grammable than even the craftiest of cocktails. Even if #aesthetic food isn't directly correlated with a second date, all in all, NYC Week 2 is doin' just fine.